MMA and Boxing both call Las Vegas the capital of their respective sports. To analyze the economic impact these sports have on the world we will look at recent fights in Las Vegas by boxing superstar Manny Paquiao and MMA superstar Anderson Silva and how those fights and future fights affect the economy. 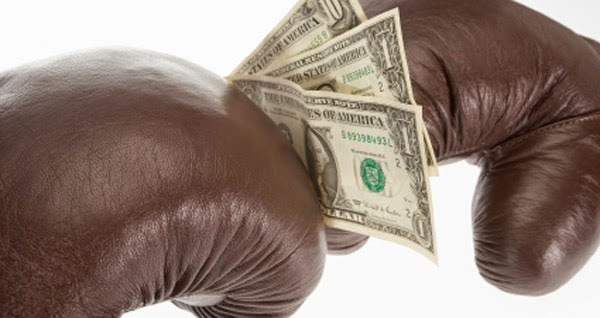 On fight weekends, that impact extends from an uptick in gambling to an increase in everything from hotel rates to the price of bottle service at local nightclubs. In a city that lacks even one franchise in any of the major professional sports leagues, tourism is driven by events, few bigger than a championship prizefight. The commission, Kizer said, receives 6 percent of the gate, in addition to a $50,000 fee, good for $758,000, based on the projection. “One fight,” Kizer added, “basically covers our entire budget.”  The impact boxing has on Las Vegas and other places around the world has been tremendous and will continue to help boost recovering economy’s like Las Vegas. “The economic impact for Las Vegas, we don’t have all the numbers yet, but it’s somewhere between $93 and $140 million on a week where this town would have been dead,” said UFC President Dana White regarding UFC 148 this past July. I also hope a portion of that money goes towards a pension fund and a health fund for the lower echelon fighters who will never command what Pacquiao makes.